It’s odd. We all know the report that will be released by Special Counsel Robert Mueller on his investigation into Russian collusion isn’t going to be the smoking gun the Left has waited for with regards to their push to boot Trump from office. This investigation, which started as an FBI counterintelligence probe back in July of 2016 that disgraced and now-terminated agent Peter Strzok signed off on, won’t unveil that Donald Trump is a traitor, nor will it have solid evidence of collusion with the Kremlin to tilt the 2016 election. This has been known prior to the report’s supposed release date, which folks are saying is soon. Keep in mind; those ‘in the know’ have been saying this for nearly a year. With nothing to substantiate their spy games theory, which is rapidly becoming a myth, the Left is now saying the Mueller report doesn’t matter, turning their focus to obstruction of justice allegations. Liberals were confident that the Mueller report would reveal something. And once again they got punched in the mouth. To make this clear again, there is zero evidence that Donald Trump or his campaign colluded with the Russians during the 2016 election. This town leaks like crazy, we would’ve known by now. Voters are also tired of this Russian nonsense. A new USA Today poll showed that 50 percent think that Trump is a victim of a witch-hunt with this special investigation, which includes 54 percent of Independents. Faith and confidence have also fallen. Those who still support impeaching Trump stands at...28 percent. LAURA INGRAHAM, FOX NEWS: Is reality finally sinking in for the Democrats or some of these new polls about Mueller are really what they're thinking about? GLENN GREENWALD, THE INTERCEPT: We actually saw this during the 2018 midterm where the victorious Democratic candidates, knowing the local districts really well, almost never mentioned what the Democratic National Committee and MSNBC, excuse the redundancy, have spent the last two and a half years obsessing on to the exclusion of virtually everything else, which is not just the claim that Trump colluded with Russia, but that Russia actually controls Donald Trump in some sort of, you know, Tom Clancy type of espionage way as a result of blackmail or other kinds of leverage. That disappeared from the winning campaigns of 2018 because they know that people don't wake up in the morning worried about Putin. And the 2020 candidates now see that the wheels are falling off the cart of the Mueller investigation and barely mentioned it at all in recognition of that fact. 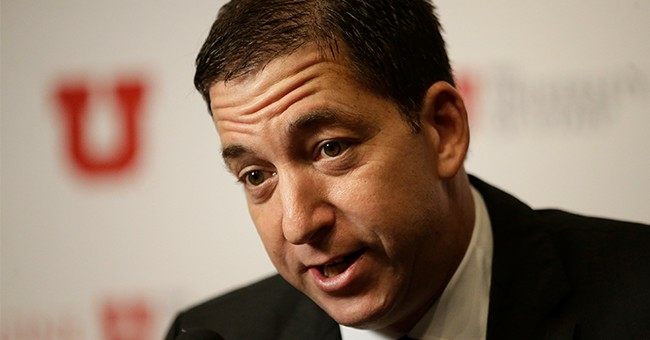 GREENWALD: Just please think about how stupid that is, what [Pelosi] just said. The overriding theme of the Democrats for a two and a half years, going back to the 2016 election, as I said earlier, is that Donald Trump is blackmailed by or controlled by the Kremlin and forced to do things against the interest of his own country of the United States and in favor of this for an adversary. Now if that were true at all, if Robert Mueller had any evidence of that and hasn't shown it to us he would almost be guilty of treason. If Nancy Pelosi really believes that Donald Trump is serving the interest of Russia and decides, oh, we're going to take our time in removing him from control over the nuclear arsenal and the executive branch and the military, until we feel like we are ready to do it. You would wonder, does Putin have something on Pelosi too. Why would you leave in place somebody controlled by the Kremlin for two years if you really believed it, if you really have that evidence for it? And of course they have none and they don't have the integrity to just admit that.